I love a good curry. The spices, the heat, the variety, you can’t beat it, and having visited India earlier this year and tasting the real deal, my love for this cuisine has only magnified. 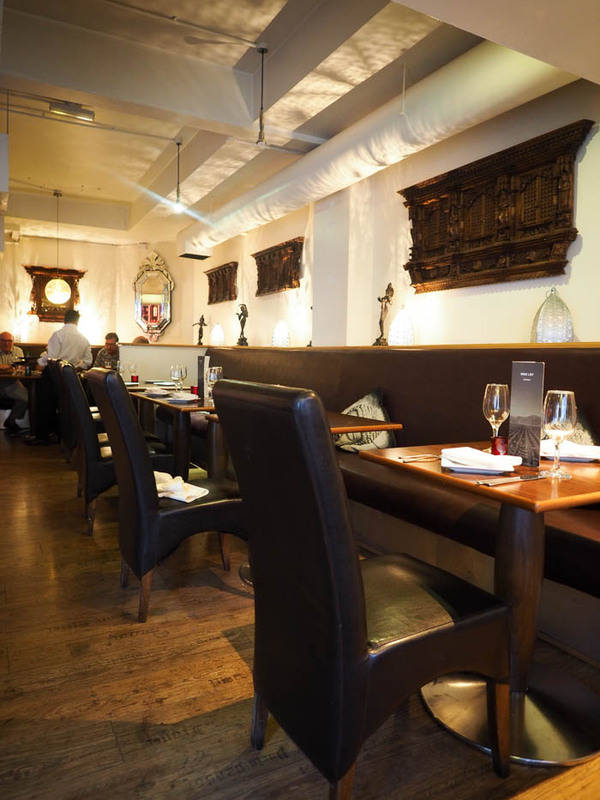 Living in Birmingham means you’re never too far away from a good curry so it’s a staple of my eating out diet! 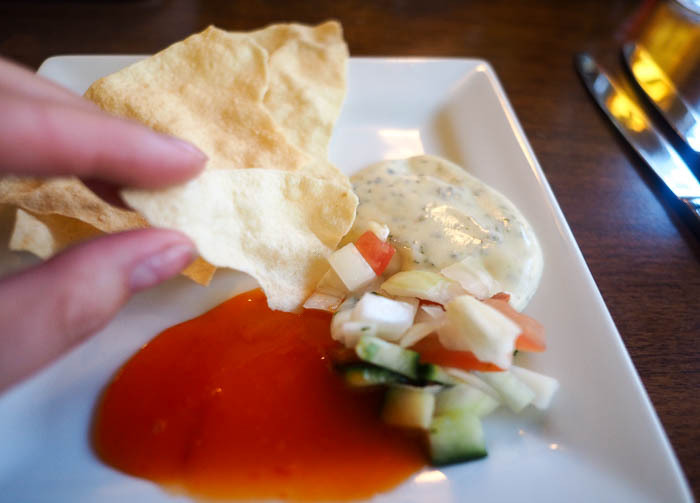 But there’s one cuisine I’ve always been intrigued by but never actually tasted – Nepalese. Visiting Lucknow meant I was close to the Nepalese boarder on my travels but having not actually visited there my hopes of exploring a new culture’s food were dashed…until now! 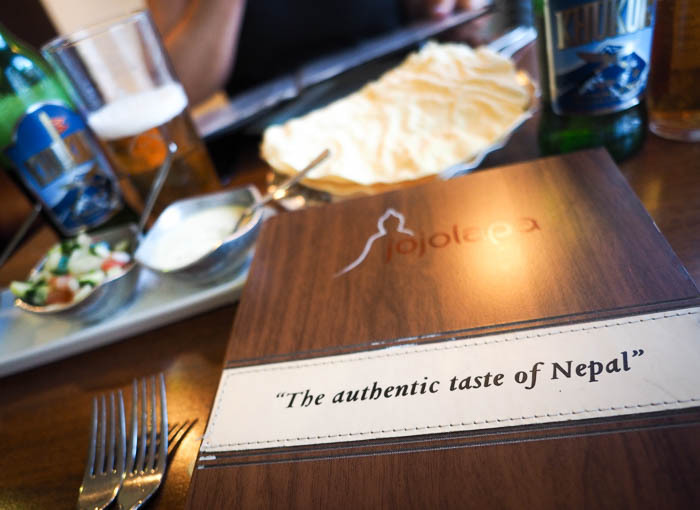 Introducing Jojolapa, one of Birmingham’s best Nepalese restaurants and voted as 1 of the top 100 restaurants in the UK…let’s take a look at what’s on offer shall we! 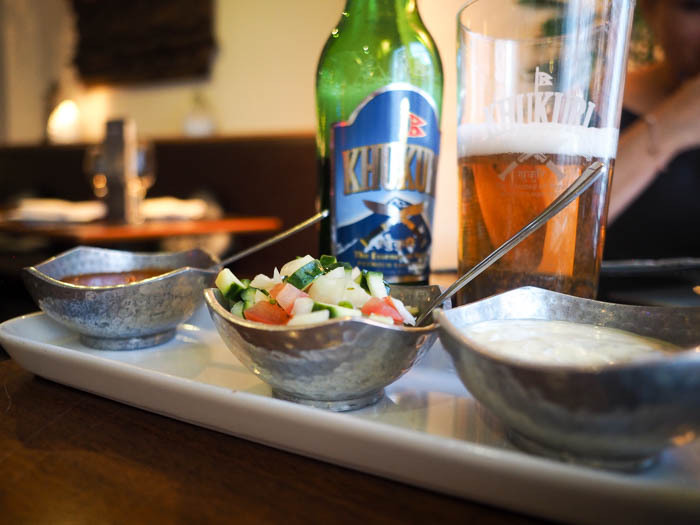 There were quite a few dishes on the menu that I recognised from my usual curry house outings, loads of traditional curries and old time favourites including a number of special Nepalese dishes. 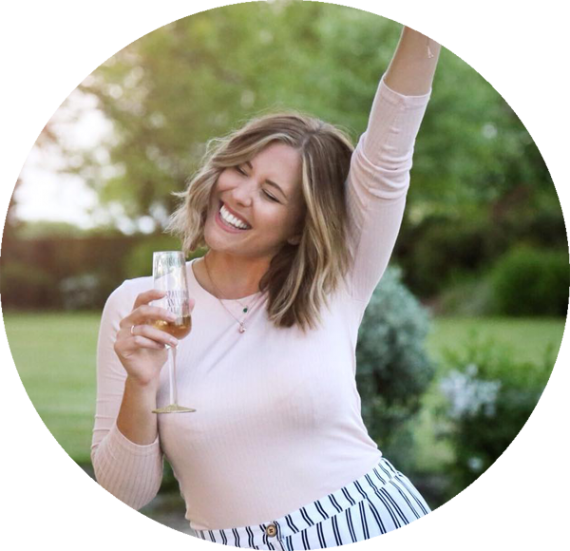 We ordered as many traditional things as we could find to really get a taste for this new style of dining, and we weren’t disappointed! We skipped the cocktails and the wine list in favour of a traditional Nepalese beer which was incredibly light and a bit weaker than usual lagers from that region. It had fine bubbles and a super light flavour which went really well with the spices in the food, even beating my usual curry go-to of Cobra! Definitely look out for this one to have alongside your curry. 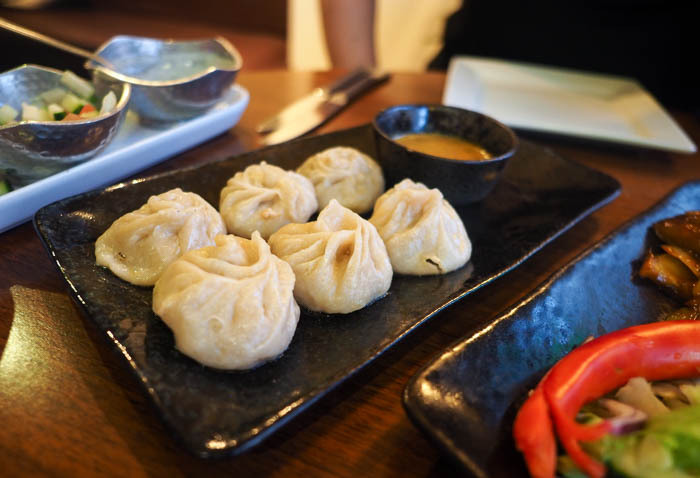 To start with we couldn’t resist trying Momos – a really popular Nepalese dish of meaty dumplings with a zesty sauce. They were AMAZING! The dough was thick and sticky but in no way claggy when you chomped through it, and the meat inside was well spiced and moreish. There were six in the starter portion which was perfect for two, even though I could have eaten all six myself…I think I’m going to be dreaming about those for many nights to come! We also tried a Nepalese Chili Special Chicken dish which was really yummy. Interesting flavours as it had more of a Cantonese vibe but it was sharp, sour and full of flavour with great quality meat too. 100% recommend giving both of these starters a go. 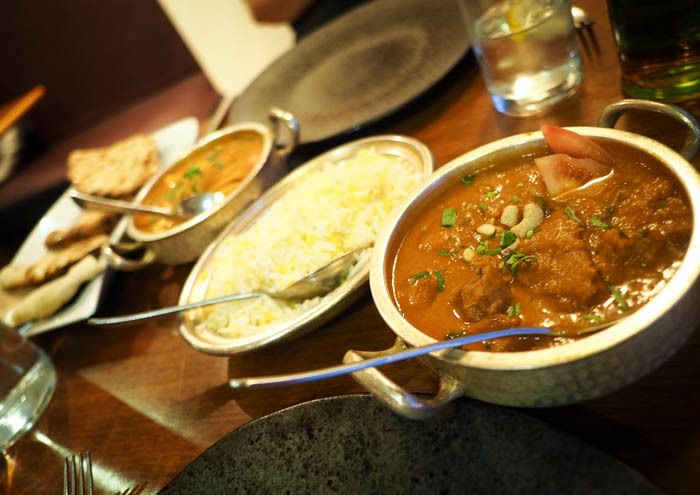 On to the main event and we chose two Nepalese curries – the Jojolapa Lamb Signature Special and the Chicken Nentaza. They were both thinner than your usual Indian curry but certainly not lacking in flavour. Neither too hot and again the quality of meat was high – always a sign of a good curry, especially with lamb. Served with a good pilau rice and yummy Peshwari Naan with sweet coconut and Fennel which was an interesting addition – loved it! 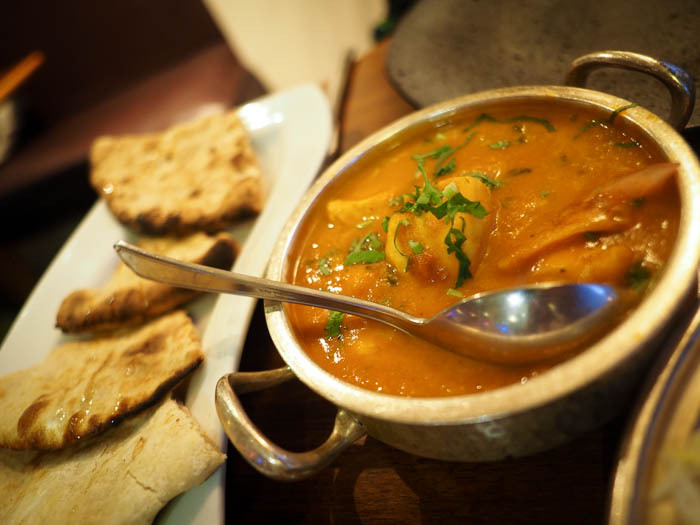 We left feeling comfortably full and so excited by the flavours we’d just tried – I feel like Nepalese curry is slightly lighter than your usual Indian or Bangladeshi cuisine which was a welcome change…all the flavour and smaller food babies! I’ll certainly be back, but it’s also spurred on a real thirst for trying out new places to eat in the city. You can sometimes get into such a habit of going back to old favorites when you’re missing out on so many amazing places just waiting to be explored! 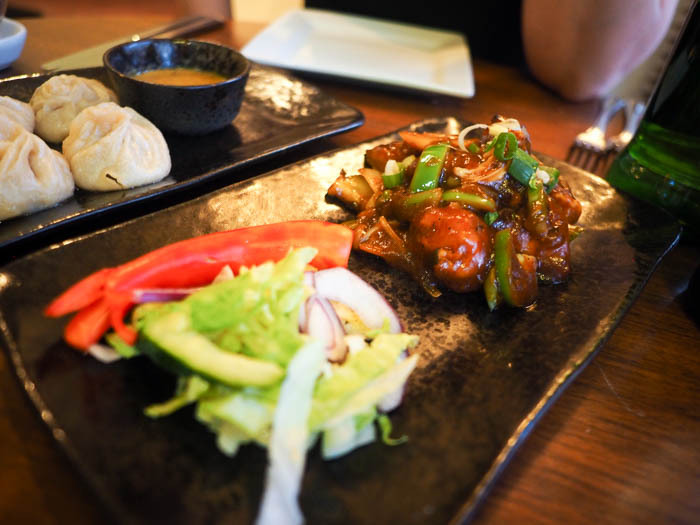 If you buy home, pet or car insurance through GoCompare right now you get a FREE Dine Card worth £49.99 which gives you all kinds of discounts on hundreds of restaurants around the UK – Jojolapa have 25% off their menu with a Dine Card, so just think of how many Momos you can order!!! It’s a fab way to discover new places to eat around your city for less, and all for free as a perk when you buy insurance. I’m sold! *Post sponsored by GoCompare. As always opinions are allll my own and xameliax will not be held responsible for any weight gained whilst using your new Dine card at all those yummy restaurants around the city!! !